There are several problems that can emerge with the gallbladder. Most of the ailments come about due to gallstone formations. These are the result of eating too much high cholesterol food. 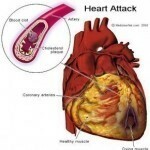 The attacks usually occur after eating cholesterol rich and fatty foods. Usually this happens around the evening. The major indicators are severe stomach pain. The pain may come during sleep and wake the patient. The hurt will be intense. It begins in the stomach and moves up the chest. Sometimes the pain goes up between the shoulder blades. Some also report pain in the back. Other symptoms are chills and sweating. Other minor indicators include fever and indigestion. Gas and vomiting may accompany the pain. These symptoms may be experienced at once or only one at a time. Diagnosis begins when the doctor looks for the abovementioned symptoms. Other indicators are belching too much and bowels that appear clay like in color. A family doctor can diagnose this problem. 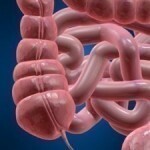 For more specific and detailed treatment, a visit to the gastroenterologist is recommended. The doctor will also look at the skin for any indications of jaundice. The stomach will be tested for any swelling. A blood test will be conducted. The blood examination is undertaken to check for bile duct obstacles. This test is also necessary for eliminating other possible causes like heart attacks and appendicitis. These two ailments often have the same symptoms as gallbladder attacks. Other diagnostic tools include ultrasound imaging and cholecystography. The latter consists of several examinations that check the gallbladder condition after a high cholesterol meal. 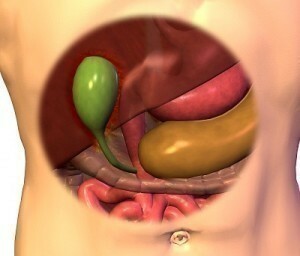 An endoscopy is used to determine the location of the gallstones. Other examinations include a radioisotopic scan and fluoroscopy. If the attacks are mild, applying hot or cold compresses is advised. It will also help if the person rests. In addition, drinking a little bit of water can help reduce the pain. Acetaminophen can also relieve the hurt. Most of the time, a gallbladder attack is not repeated. In case the attack is severe or keeps recurring, surgery may be needed. If the fever goes up to 38.3, the doctor must be notified. Cholecystectomy is the preferred surgical method nowadays. Unlike open surgery, cholecystectomy is faster and more efficient. A laparoscope is used to take out the gallbladder. In some cases, endoscopic retrograde cholangiopancreatoscopy will be performed to remove the bile duct stones. The best way to prevent these attacks is by changing your diet. Lessen the amount of meat, hamburger, pork and ham you eat. 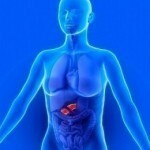 It has also been shown that regular exercise will reduce incidents of gallbladder attacks by 30%. This is understandable. By working out regularly, the fats and sugar in the body are burned. If you have suffered from one attack, be on the lookout for another. It doesn’t always happen, but you should make note of any unusual feelings or pain you experience. Go to the doctor if symptoms manifest again. A lot of gallbladder problems can be prevented. With the right diet and regular exercise, most of the irritation and pain can be removed.